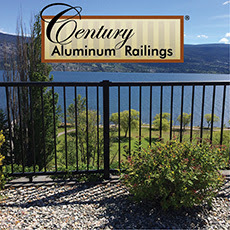 Have you seen Century Railing’s ‘GRAB-N-GO’ WELDED PANEL? These pre-built solid panels offer a fast and easy installation, and are fully compliant for single and multi-family applications. Grasse Lumber Order Schedule – Calgary Thursdays! Freight costs are a big part of doing business in a rural area. As a result, we try to schedule our Calgary pickups as much as possible. We have a tandem truck that goes to Calgary on Thursdays to pick up our stock orders. If you get your orders in to us by Wednesday noon we are usually able to include your special orders along with our stock orders with little or no additional freight charges. Thanks! LP® SmartSide® Trim & Siding offers the warmth and beauty of traditional wood with the durability of LP engineered wood. It’s a complete line of high-performance trim and siding products to complement almost any building style. All LP SmartSide products feature an innovative, four component SmartGuard® manufacturing process for strength and to resist fungal decay and termites. The SilentFX Acoustic System meets rigorous STC and new ASTC standards with one extraordinary product collection. SilentFX QuickCut Drywall, Noiseproofing Sealant and Noiseproofing Putty combine to produce an exceptional acoustic system without complex techniques or excess materials. It’s the synergy of noise-reducing drywall, acoustic caulk, and heavy mastic putty that creates quieter spaces – everywhere. The patented FUSION STONE clip and screw technology was specifically designed with efficiency in mind. If you’re daydreaming about some renos either now, or this summer, here is a list of the best returns on investment for your reno dollar. On any of these projects we can recommend some good local contractors to install them for you. Steel entry door replacement is the project expected to return the most money, with an estimated 101.8 per cent of costs recouped upon resale, says Realtors’ ‘Cost vs. Value Report.’ The steel entry door replacement is consistently the least expensive project in the report, costing little more than $1,200 on average and was the only project on this year’s list to recoup more than 100 per cent of its cost at resale on a national level. Other projects that make a big financial payoff upon resale include a manufactured stone veneer (92.2 per cent of costs recouped), a garage door replacement (88.5 per cent), a siding replacement with fibre cement (84.3 per cent), a wood deck addition (80.5 per cent), and a minor kitchen remodel (79.3 per cent). Since 2003, replacement projects resulted in a higher financial return than remodeling projects. However, the gap between replacement and remodeling projects became bigger this year as both categories declined in value. Garage doors (89% return) – We sell Steelcraft garage doors www.steel-craft.ca. We can install them for you! A complete line of building insulation solutions for every project, partnered with our legendary service and support. That’s the Johns Manville promise and that’s what makes JM one of the most preferred insulation brands in Canada today. Finally, the sliding patio door solution that gives you what you want! Design series sliding patio doors offer a low maintenance, coloured clad exterior, vinyl interior and now, an in-glass blind option! Discover your perfect patio door with Ply Gem. Insulated Glass packages features a wide range of EnergyPlus and Solar Shield glass packages that let you customize your windows to meet the specific climate conditions of your home. Whether it’s a pre-Christmas update or a full-on renovation, Goodfellow’s wide selection of engineered flooring can give homes a quick uft. Planks are machined with such precision that they fit each other to perfection, resulting in a smooth, even, totally magnificent finish. AP™ Foil rigid foam sheathing board provides exceptional heat, moisture and air control to protect exterior walls, and when installed correctly, eliminates major thermal bridges that cause heat loss. November is a great time to think about 2017 home renovation projects. Gentek Building Products has a popular Home Design Studiothat can help you and your clients visualize the next project. Submit your questions and up to three photographs of your home, and we will have one of Gentek’s professionals offer design tips and suggestions. If you are, then I don’t have to explain what shiplap is. It was common before the advent of plywood and is found on old buildings. We have had some custom run and have been selling it for renovating old buildings and for rustic feature walls. It is 5 ½” wide and is .98/linealfootwhichworksoutto.98/linealfootwhichworksoutto2.50 per square foot. Come check out our pallet specials on laminate flooring. They are a great DIY project that brings immediate results. Consider upgrading your walls in your next kitchen or bathroom project. Walls start straight and stay straight with LP® SolidStart® LSL. It’s the ideal choice for straighter walls, longer spans and more predictable performance than possible with traditional lumber framing. No special tools or procedures are required for installing and it comes with a Lifetime Limited Warranty.